&QUOT;GLENN&QUOT; IS A HADEN SEEDLING, AND MUCH LIKE THE HADEN IT IS A FLORIDA FAVORITE. THE FRUIT HAS A MILD PEACHY FLAVOR WHICH IS BOTH SWEET AND DELICIOUS. IT IS OF EXCELLENT EATING QUALITY, CONSISTENT PRODUCTION, AND EFFORTLESS TO GROW. TREES ARE TYPICALLY FIFTEEN FEET TALL WITH A ROUNDED DENSELY FOLIATED CANOPY. 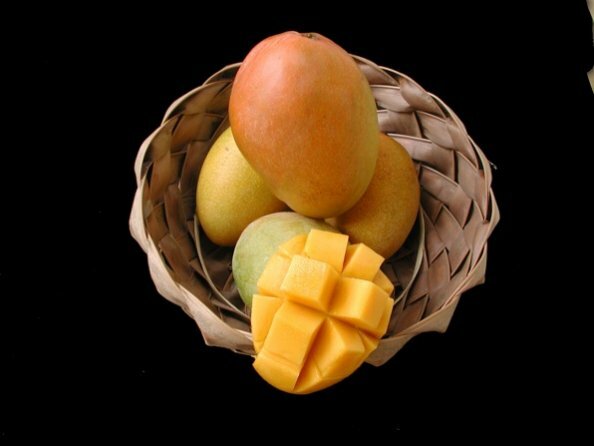 THE FRUIT RIPENS JUNE TO JULY MAKING IT OUR MOST POPULAR EARLY SEASON MANGO.